RhinoPython Manual here (free isuu publication). 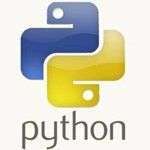 This is the ultimate beginners python guide. We used this manual at the RhinoDay Madrid 2013 in our 5 hour intensive introductory workshop.